Check out our current scholarship and fellowship opportunities in the Department of Pharmacology. With a degree in pharmacology, you’ll gain the knowledge and hands-on learning to understand the effects of drugs on the body. As a student, you'll work closely with highly experienced researchers, learn from celebrated professors and be supported by our dedicated staff. 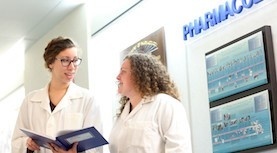 Because pharmacology touches nearly every other area of medicine, we have close collaborations with other departments so you can conduct research alongside faculty with diverse specialties. 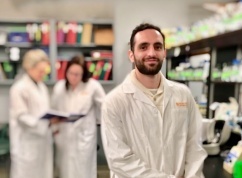 Consider Dalhousie’s Department of Pharmacology for our wide range of education programs and outstanding research environment. Learn more about our department. Pharmacology is an exciting field that touches nearly every other area of medicine. Find out about the kinds of research you could conduct with us.